A workplace free from unfair discrimination is a fundamental value of the group and is entrenched in its Code of Ethics and Worldwide Code of Conduct. Group processes ensure that any instances of unfair discrimination can be reported and addressed. The group is committed to treating people fairly and prohibiting unfair discrimination in the workplace and complying with relevant laws and regulations. Incidents may be reported through established problem resolution, grievance or disciplinary procedures or the confidential 'Ethics Line/Tip-offs line'. 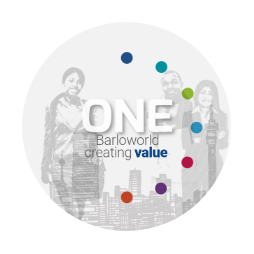 The Barloworld Worldwide Code of Conduct includes a guide on raising and reporting ethical issues, and actions that violate, or appear to violate the code. There is a confidential Barloworld Ethics line and group oversight of the investigations processes. The Barloworld Global Whistle-Blowing policy sets out procedures for reporting improprieties or improper conduct so that the rights of employees and other associated persons are protected where such disclosures are made in good faith. In addition, all operations have well established disciplinary and grievance procedures in place. These are formal, documented and easily accessible to all employees. Reported incidents are thoroughly and independently investigated and appropriate action taken. Given the sensitivity and confidential nature of such incidents and the impact on those involved, details would not be publically disclosed.